The Hampton Fitness HOG-U, which stands for “Hampton Olympic Grip Urethane”, is a high quality, innovative Olympic gripping plate that was designed to withstand commercial weight lifting environments. 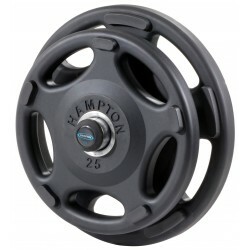 All Hampton HOG-U plates feature a hard wearing polyurethane coating finished with a matte texture. 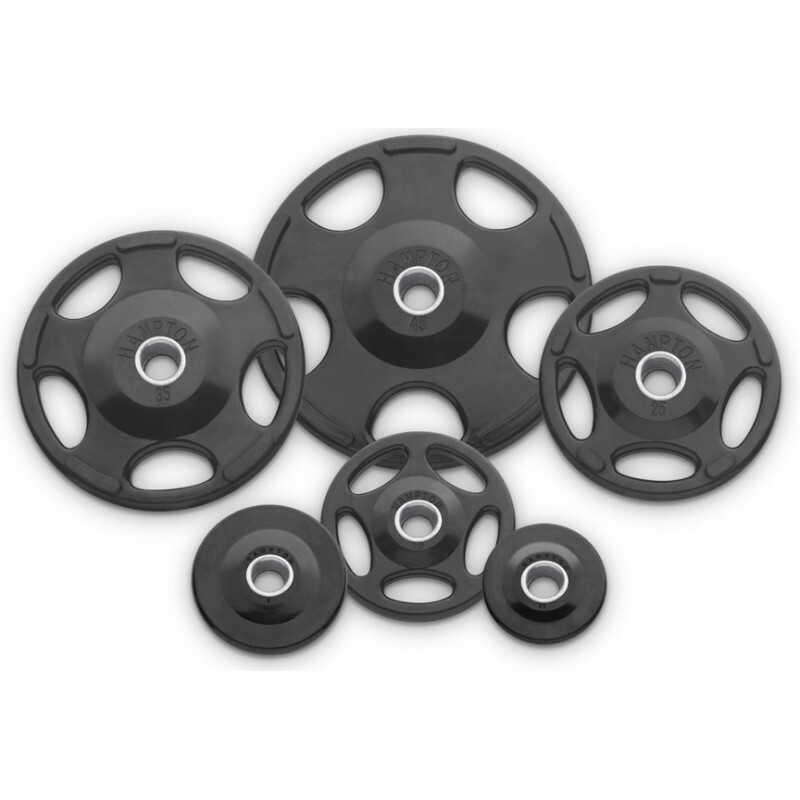 This hard wearing urethane is ideal in harsh environments that experience frequent weight drops and other forms of use that would otherwise chip paint or tear rubber coatings off of other weight plate choices. Hampton has all but eliminated the risk of pinched fingers while loading your plates onto Olympic bars and weight machines. Each recessed gripping slot provides and easy to grip carrying handle while providing protection to the hands and fingers. This design also makes them easy to pick up off the floor unlike other plates that can injure fingers or even rip off fingernails.